SHOOTING STOPPED, ANOTHER SERIOUS PROBLEM FOR TAMIL FILMS? The unit of producer turned actor RK Suresh’s Billa Pandi was busy filming when they were hit by a roadblock, the day before yesterday (17th July) from FEFSI members. 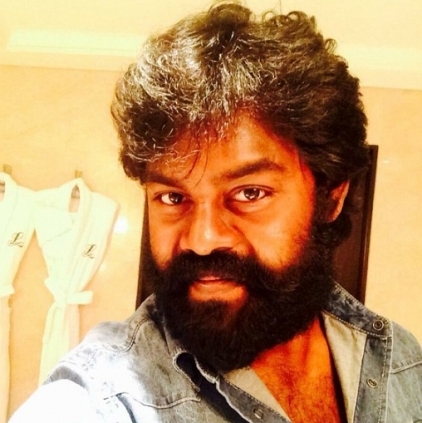 We talked to RK Suresh to get the details and this is what he said. “There is something called ‘journey bata’ in the FEFSI union where if their technicians travel more than 400 kms for film shooting, they say that we need to give them double bata. This supposedly holds good even if it crosses 1 km or 30 kms. How can we do? They had only gone 30 kms extra but demanded double bata. I suggested to them to calculate per km. They immediately said NO and threatened that they would stop the shooting if I don’t cow down to their demands. I said- go ahead, stop the shooting. As per the rules, it is only single bata for entire Tamil Nadu. Not just here, even in Kerala and Andhra, it is only single bata. Actually speaking we should not pay ‘journey bata’ as WE are taking them to the shooting spot. To top it all, they want double bata. This needs to be brought under control. I discussed this with Vishal and he immediately said- ok, you stop and come to Chennai. And I am back in Chennai. This has become a big issue and we would be stopping the shooting of all the films if they don’t agree. I am an EC member and if they do such things with me, imagine for others! Although I had stopped the shooting, I am not depriving them of any facilities, I am still sending them food. I am paying for all their expenses and I have incurred more than 10 lakhs for these two days alone. As it is, the film industry is having a lot of problems and it is very difficult to make a film in the current scenario and now this has added up. I will now be going to the council. It is not just for me, but for everyone". People looking for online information on Billa Pandi, Double bata, FEFSI, R K Suresh will find this news story useful.